Our education programs aim to encourage understanding of and compliance with the Shoreland Protection Act, enacted to ensure the continued health of public water bodies. We advise residents and camp owners or visitors about how to become lake stewards by adopting habits and managing properties in a responsible way. These Best Practices help protect our lake water. One of our past Presidents wrote a humorous song advising the public that “It’s a Mistake to Pee in the Lake”, essentially explaining how and why we need to avoid polluting the lake. We partner with other conservation organizations like NH LAKES to prevent harmful damage to our lake and its wildlife. Our volunteers collaborate with the experts at the Loon Preservation Committee to protect our iconic summer residents. 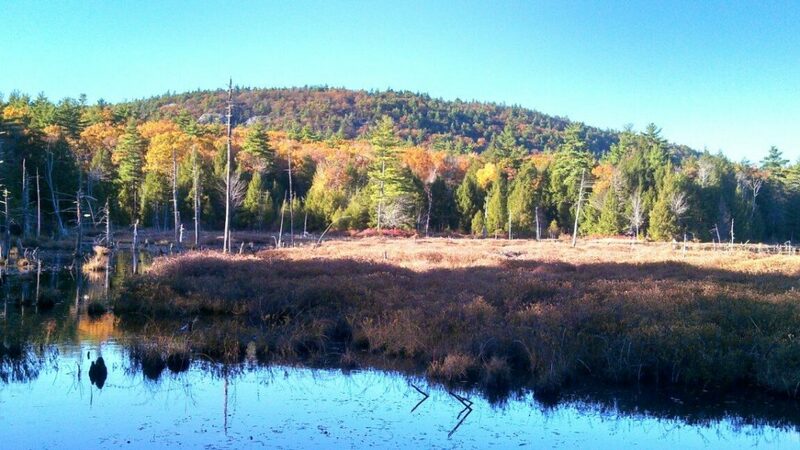 We support efforts to conserve wildlife habitat on and around the lake, exemplified by the Pawtuckaway Conservation Easement that the Society for the Protection of New Hampshire Forests has been developing on the lake. Our members appreciate and celebrate the wonders of Pawtuckaway Lake throughout the entire year. They are often moved to capture the beauty of this natural resource on camera and share those images with us, as you can see on the Scenic Photos page of this website. Enjoy!